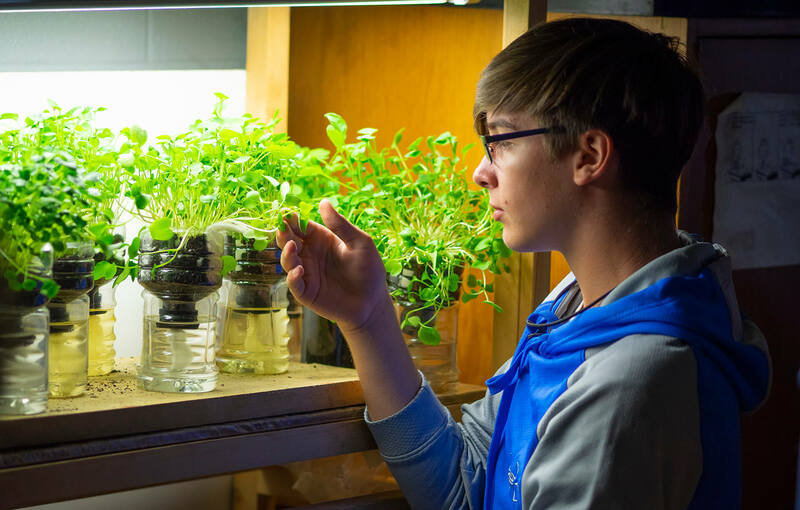 Valley Lutheran High School’s Environment Club seeks to be good stewards of God’s creation through activities and educating students about environmental issues. The club advisor is Ben Cooper. Destination Imagination, Inc. is a leading educational nonprofit organization dedicated to teaching students the skills needed to succeed in school, their careers and beyond. We develop project-based learning programs that blend STEM (science, technology, engineering, and mathematics) education with the arts and social entrepreneurship. The Destination Imagination® (DI) program is an extraordinary co- or extra-curricular activity in which students work in teams to develop creative solutions to complex challenges. Teams present solutions at sanctioned tournaments, where they display creativity, problem-solving, and teamwork skills that they have developed as a team. Participants gain more than just basic knowledge and skills, they learn to unleash their imaginations and take unique approaches to problem-solving. This group is advised by Jennifer Blake. La Société Française gives students the opportunity to explore and experience aspects of francophone cultures outside of the classroom. Some of their favorite activities include French movie days, celebrating special holidays, and sampling foods from various French-speaking countries. Taking in theater productions such as “Phantom of the Opera” and “Les Misérables” have also been highlights. This group also supports a teenager through Compassion International, a Christian aid organization. Global Awareness Club is a group based on service to the community, nation, and world. We base the mission of our club on Mark 12:30-31, ‘Love the Lord your God with all your heart and with all your soul and with all your mind and with all your strength.’ The second is this: ‘Love your neighbor as yourself.’ There is no commandment greater than these. Our main goal is to love God and to love people. We accomplish this by serving others in need both locally in our community and internationally by organizing events and fundraisers in an effort to raise awareness and monetary funds to address important global issues. This group is advised by Renee Brenner. Key Club, established in 1925, is the oldest and largest service program especially for high school students. Its success is tied to the fact that it is a student-led organization that teaches leadership through serving others. Members of the Kiwanis International family, Key Club members build themselves as they build their schools and communities while living the motto “Caring – Our Way of Life.” In the process, they become more aware of community needs as they develop their own skills, especially in relating well to others. The VLHS Key Club was established in September 2006. This group is advised by Caleb Abraham and Bess Winter. The Law Day – Mock Trial competition is held in conjunction with the Law Day celebrations sponsored by the Saginaw County Bar Association. Students serving as lawyers, witnesses or jury members are “coached” by an active member of the County Bar Association. They are advised by Lisa Meyers. Math Contests are held periodically during the school year. VLHS students participate in competitive events sponsored by local colleges. The advisor is Barb Doyle. 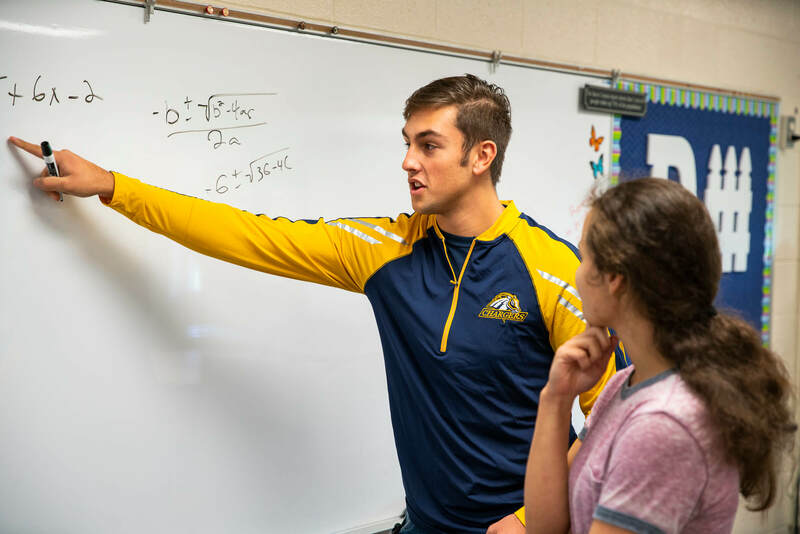 Valley Lutheran’s National Honor Society (NHS) is part of a national organization with a long history of recognizing students for scholarship, leadership, service and character. NHS members serve the school and community in a number of ways, including two blood drives held in the fall and spring in conjunction with the Michigan Community Blood Center. NHS advisors are Patrick Winningham and Jeanette Weilnau. Valley Lutheran’s Protect Life promotes respect for life from the moment of conception to a natural death. This group works with Right to Life of Saginaw County, and is active in spreading its message through such activities as school chapel services, distributing information on pro-life issues, and urging voters to vote pro-life. The Protect Life advisors are Bess Winter and Cris Urbytes. The Retrospect yearbook gives Valley Lutheran students the opportunity to develop writing, photography, computer, business and organizational skills as they are involved with all aspects of publication. This group is advised by Jennifer Blake. The Running Club meets twice a week after school in the winter and off-season. Renee Brenner leads this group. Students gather once a week during meeting time to celebrate Latino culture, food, and music. This group is advised by Renee Brenner. The Valley Lutheran Student Council gives students the chance to develop and strengthen leadership and organizational skills as they lead a wide variety of student activities. In addition, Student Council also serves as a sounding board for student views of issues that face the school. Student Council members also have the opportunity to meet with other schools through regional and Tri-Valley Conference student council events. Council members are elected by their classmates in several ways ranging from whole school Executive Council elections to individual homeroom and club elections. Student Council advisors are Jessica Schwarz and Heath Vincent. Quiz Bowl gives Valley Lutheran students a chance to compete in an academic-related round robin competition with area schools. The competition is sponsored by the Saginaw Northwest Kiwanis and involves questions from every academic discipline and current events.